For the importance of planning a guest list, deciding on a venue and booking accommodation for the Indian wedding check here. 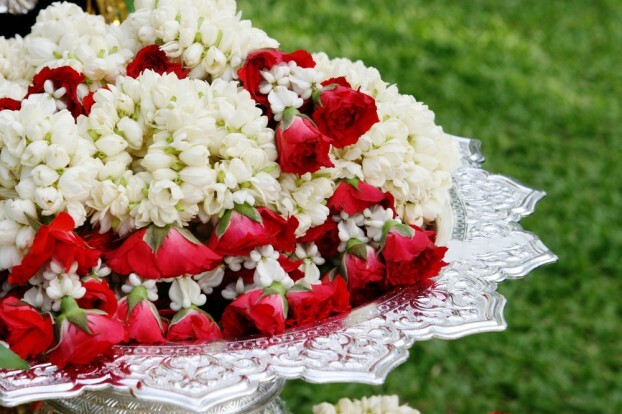 In this article, we will discuss the rest of the aspects that make up an Indian wedding. To make the event perfect and to make sure you do not miss out on any important aspect, you must keep a checklist of all the things that contribute to wedding preparations and then keep checking them from time to time. You don’t have to run from pillar to post to hire vendors to arrange for the wedding decorations, catering and drinks. You can hire a coordinator who will do this job for you. Contact them quite early; when you decide to get married, and educate them on your needs and believes. If you are getting married in your community, then hire a community-based coordinator because he will already know what all rituals are to be performed and when to do them. On the other hand, if you intend to have a destination wedding (beach, palace), then hire a local coordinator. However, if you intend to adhere to all the wedding ceremonies and rituals, then you must spend considerable time explaining the facts to them. Of course, you leave the major part of the Indian wedding preparations to the coordinators. But you must have your own notes, so you know what is covered and what is not. Normally, wedding coordinators maintain soft and hard copies of all the activities they did for your wedding. You must save them, so you know the chores they did for you when you pay them. You will not forget to buy your wedding address and accessories, but there are other goods and accessories that you might forget, so write them and tally when you are out shopping for your wedding. It all boils down to money in the end. Cut costs wherever you can, to get a grip on the budget. Tone down the guest list if you just cannot afford to wine and dine them all. Here is a check-list of all the things that are likely to cost you money – Indian wedding ceremony, venue and decorations, reception, music and entertainment, photography, stationery, rental vehicles, accommodation, wedding dress and accessories and miscellaneous. Keep some cash aside (at least 20% of the expected cost) for emergency expenses. Matrimony sites are God-send portals where you will most definitely get your life partner. Don’t you think so? Visit Vysya Matrimony to really experience this. You need to have some sort of a record as evidence to prove that you have agreed to pay a certain amount as fees to each vendor at the Indian wedding. Whether the vendors are arranged by the wedding coordinator or not, you need to have your own copy of the contract to prevent unforeseen problems. If possible, record the conversation, so both parties know where they stand.